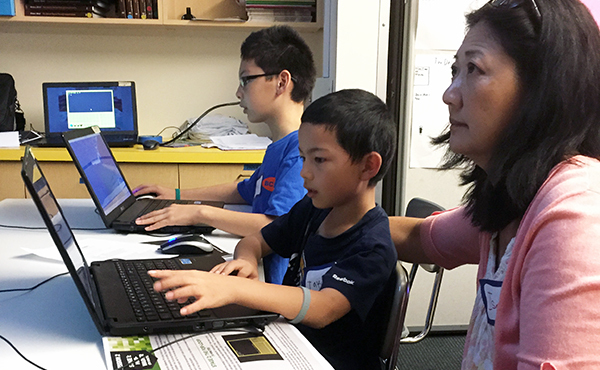 Connected Camps and LA Makerspace are in the running for the “My LA2050 Grants Challenge.” The $100,000 prize would help the organizations teach 1,000 Los Angeles kids to code for free. Officials from the organizations are urging the public to vote for their proposal, which will bring 21st century skills to youth who could not otherwise afford coding camps. The My LA2050 Grants Challenge is part of LA2050, an initiative launched in 2011 by the Goldhrish Foundation to empower Angelenos to improve their city through financial, human, and social capital. Thirty-thousand community voices have contributed to this year’s goals – make Los Angeles the best place to learn, create, play, connect, and live – via 30 #LA2050Listens community events and conversations from Central L.A. to the San Fernando Valley. The Connected Camps’ proposal would enable educators to provide free Minecraft-based STEM programming lessons to thousands of kids in underserved communities throughout Los Angeles. Research shows that when kids have access to out-of-school STEM activities, they have an increased interest in STEM, build real-life skills, and have more awareness of their career opportunities. Minecraft is more than a computer game. It has a cult-like following of more than 100 million registered users. But, Minecraft also is a deeply engaging learning environment where kids want to learn and have opportunities to cultivate positive attitudes toward learning. Connected Camps’ Minecraft coding camps enable students to learn and apply programming concepts through the ComputerCraft mod in Minecraft. Kids write real code in Lua that controls computers and robots to complete tasks and challenges. Through such challenges, they learn basic programming concepts, such as loops and functions. The camps move students beyond coding syntax and get them learning how to code robust, unique programs to solve complex problems. Such skills are increasingly in demand in today’s workforce and are predicted to be even more in demand in the coming years. Forecasts estimate that by 2020, employment in all computer occupations is expected to increase by 22%, and demand for software developers, specifically, will be the strongest of the occupations with increases ranging from 28% to 32%. Should Connected Camps and LA Makerspace win the grant challenge, it will provide kids access to more than just software. It also will provide mentors that kids identify with, and projects that engage their interests. Research shows that combining interests and supporters increases engagement. LA Makerspace provides the majority of its workshops in areas where about half the families live below the poverty line. Voting is open through Nov. 3. To view the full proposal by Connected Camps and LA Makerspace and to cast a vote, visit http://myla2050learn2015.maker.good.is/projects/LAMakerspace. LA Makerspace is a community-based nonprofit organization with a mission to increase access to STEAM (science, technology, engineering, art, and math) education for kids and adults, regardless of ability to pay.